A thorough campaign position overview or evidence of the need for new thinking? 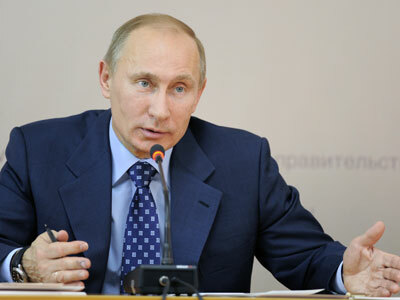 Vladimir Putin’s 2012 presidential campaign program published in Izvestia daily has split opinions. Sergey Markov, director of the Institute for Political Research, believes Putin is trying to answer the main question people in Russia as well as abroad want to ask: why is he running for president? “The answer is pretty clear,” Markov told RT. Putin wants to continue overseeing Russia’s development and its transformation from post-Soviet restoration to stable economic growth and to make the middle class a majority in Russian society. Markov also noted that the ruling United Russia party – which is chaired by the PM – is not mentioned in the text because Putin has distanced himself from it for the sake of his presidential campaign. “[The party] is becoming unpopular with voters. 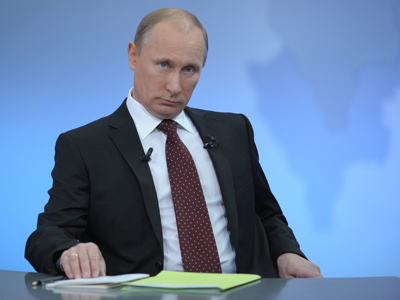 As we know, Putin has never been a member of the party; he wisely kept a cautious distance from it,” Markov said. 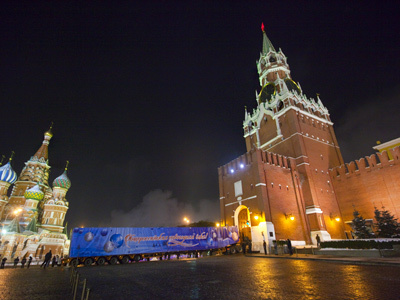 The explanation is that, generally speaking, the majority of people link all positive development in Russia to Putin, while associating negatives with United Russia. As an experienced politician, the candidate clearly understands the dynamic. Evgeny Minchenko, director of the International Institute of Political Expertise believes that the major idea he got from the article is that Vladimir Putin’s presidential campaign staff “took on board a conservative strategy”. They do not aim at attracting new supporters. Putin maintains the idea of supporting the needy (poor) part of society. As for political freedoms, the PM’s stance has not changed either, the expert told RT. As a representative of the so-called middle class that Putin mentioned in the text, Minchenko says he would like to know the PM’s position considering political reforms suggested by President Dmitry Medvedev. “But I cannot find out anything about that from the article,” he observed. The expert said that he would also like to know which way the system of those “social and staff lifts” that Putin mentioned would work. “I’d like see example of such successful uplifting, except for when it comes to ‘prodigy’ children of our ministers and high-ranking officials,” he noted. Another expert, Director of the Center for Political Technologies Igor Bunin, believes that the part of Putin’s program published on Monday is largely a PR action and does not reflect new ideas. 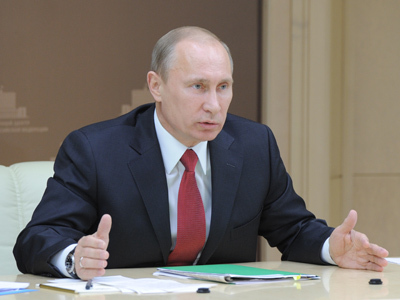 “The idea is simple: ‘It is either me (Putin) or catastrophe. Me or chaos. 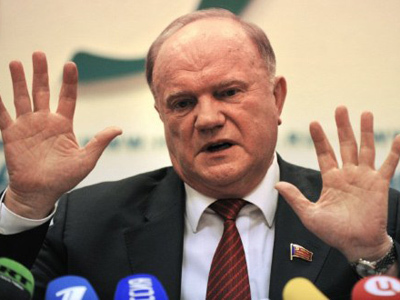 Because I saved the country from dissolution and so on,” Bunin told Interfax. Concrete goals could probably be published later, he added. A co-chairman of liberal party Yabloko, Sergey Mitrokhin, believes that Vladimir Putin’s manifesto is an attempt to divert public attention from burning issues. 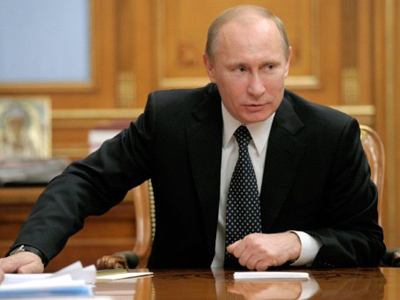 “Putin’s call for a dialogue with society leaves a very strange impression. The community has already begun its dialogue with the power, took part in [election protest] rallies and made its demands. 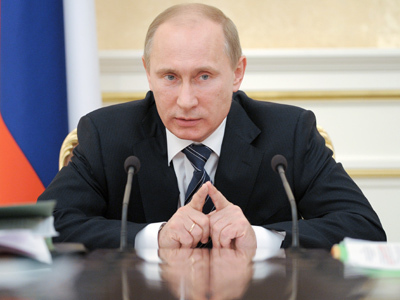 If Putin truly wants this dialogue, he should respond to those demands,” the opposition politician told RIA Novosti. Political analyst Maksim Grigoriev, on the other hand, notes that there are many interesting things in the article and the fact that Putin invites Russians for a dialogue about the country’s future is important. “It is very important that the article is addressed to the middle class,” he underlined. Representatives of that part of Russian society have lately been openly voicing their civil position. In his program post Putin stressed that the middle class should increase, which means that he “understands and apprehends changes” happening in the country.